The perfect setting for your dream event! 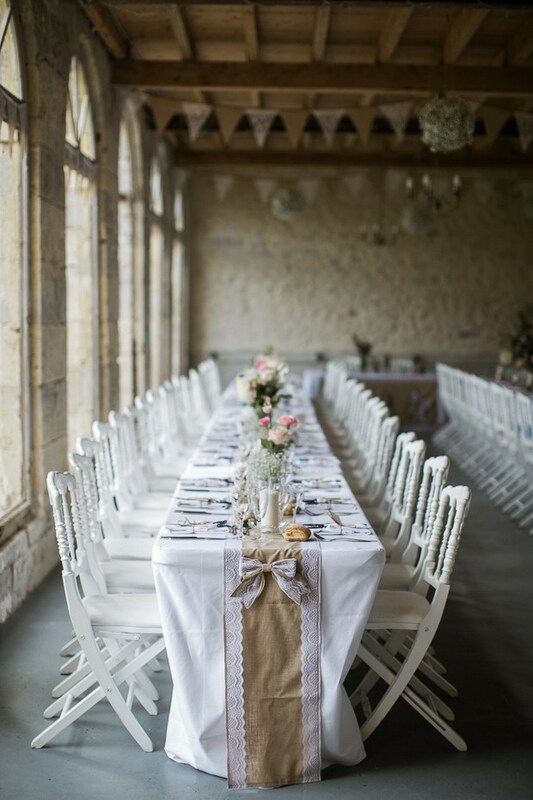 The Château is a fairytale setting for weddings. Rustic drapes and chandeliers with warm yet modern finishes, decorate our open events spaces, which can host up to 80 guests. The backdrop of the Château itself is one of pure romance and elegance. 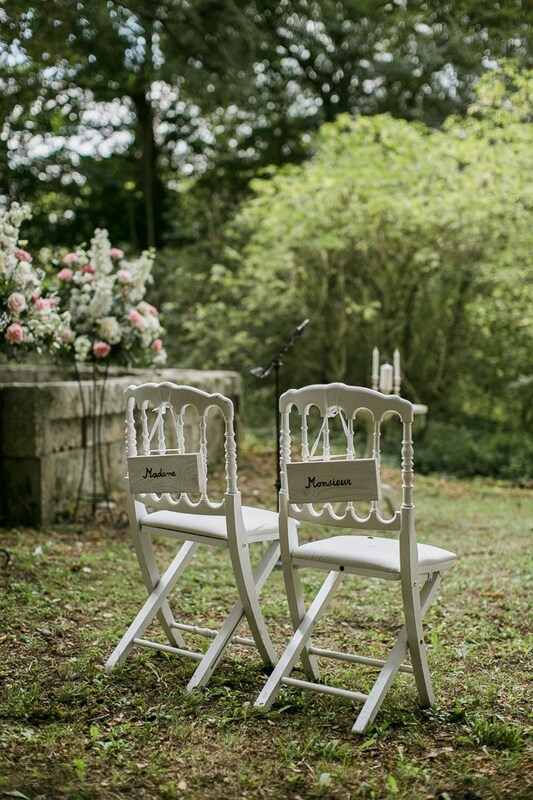 You have a choice of five locations on the grounds where your ceremony and reception can be held. The 8 large bedrooms offer flexible accommodation for up to 15 guests (incl. 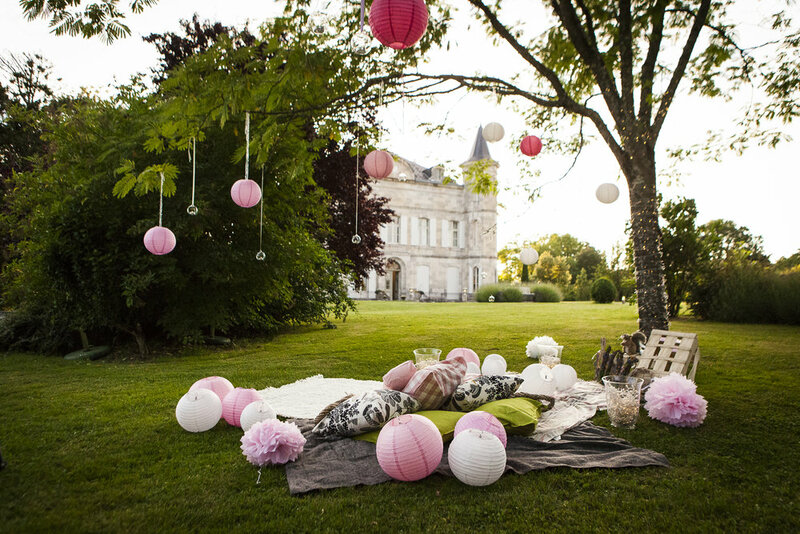 children), the Château yours to enjoy privately before and after the events. 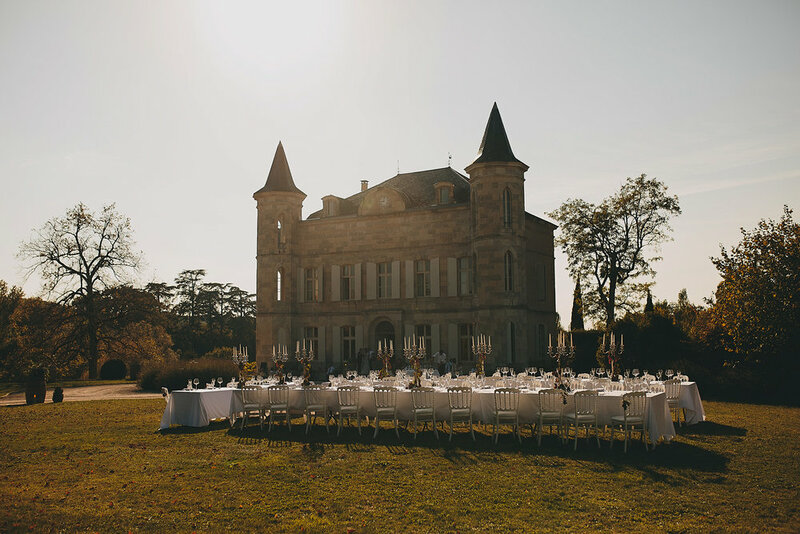 If Château Lasfargues is your dream wedding location, be sure to book it in ASAP as we only host a limited number of weddings per year! Please submit a booking enquiry and we will endeavour to answer any queries you may have regarding running an event at the Château! The Château itself offers a fairytale backdrop for your ceremony or reception dinner seating up to 80. Pictured below is an arrangement for 50 guests, with plenty more space on the lawn for cocktails, croquet and more! Please see Jess & Pablo's wedding video in the gallery below for inspiration! The Orangerie is our gorgeous events space offering flexibility in all weather conditions without the need to hire a marquee. This is the most popular of our spaces as it is stunning, stays cool in summer and provides assurance that your event will be a success rain, hail or shine. 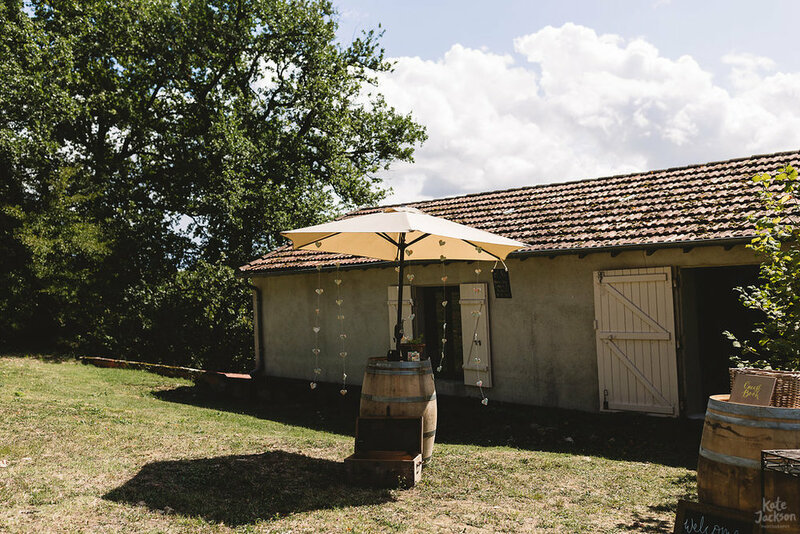 Overlooking the noisette orchards, the party can spill out onto a grass area for an indoor/outdoor event. Interior 20m x 5m. 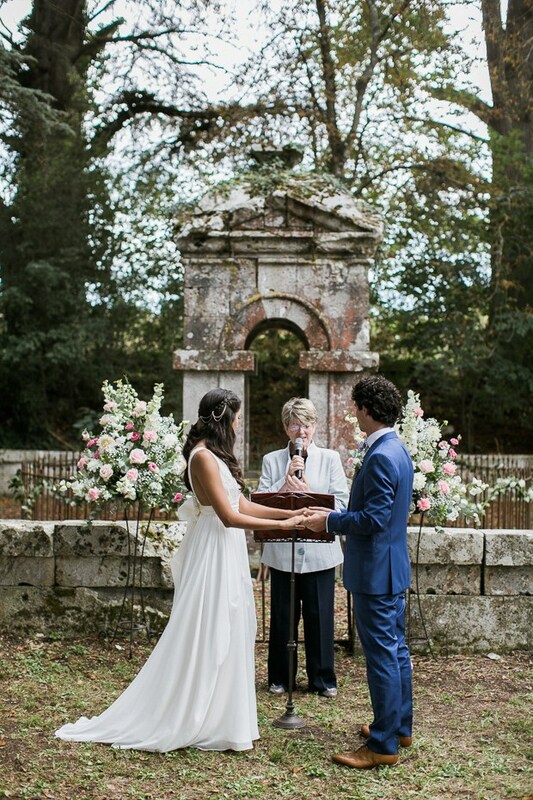 La Fontaine has an indescribable charm, for a romantic, magical ceremony. Down a path between towering century-old cedar trees, by the lake, this spot provides a sense of serenity and wonder unlike any other. The Games Rooms above the Orangerie is yet another option as a ceremony space. Usually a room that is homely and full of toys, games and laughter, this space transforms into a formal and light-filled loft. It can also double as a bar or dance floor. Note: The Games Room is above the Orangerie, and is accessed from the other side of the building (the building is set against a slope). Please note that there is no stairs access between the two floors. The terrace overlooking the lake is a picturesque and elegant option for the wedding service itself. 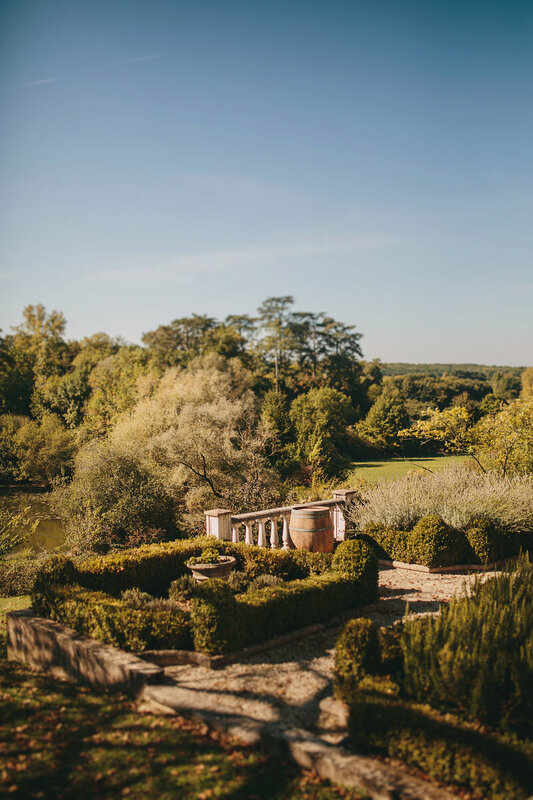 Usually reserved as a outdoor dining area spilling out from the southern side of the Château, this area is perfect for an intimate wedding with a stunning backdrop. Appear from the Château under the cherry tree, past the lush vines hugging the balustrades and down the steps into the terrace gardens. Divine! Convenience for your wedding guests is crucial. 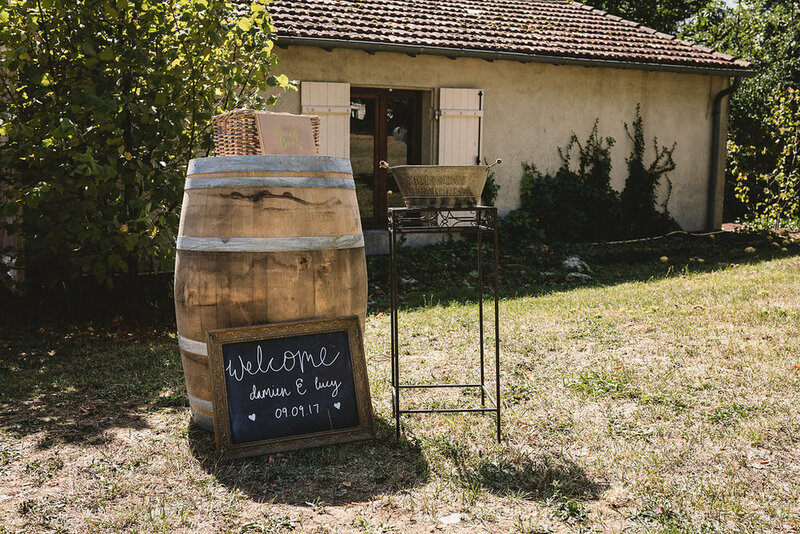 We’ve pulled together some nearby options that your guests can choose from, to suit all budgets including hotels, manoirs, gîtes and Airbnb. Simply share this map with your guests, and they can choose their own preferred option! Firstly, we recommend to open the map in a new tab (by clicking the top right hand button) before using. There are several layers on this map sorted by capacity. To hide/show different layers, click on the top left button. A list should appear. Check boxes next to the names of the layers (to view, there should be a check mark in the box).